MARAWI CITY, Philippines (Mindanao Examiner / Apr. 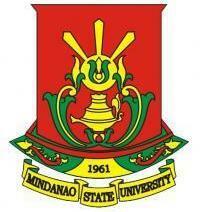 20, 2011) – The Philippines’ premier Mindanao State University said Wednesday it would vigorously pursue new Information and Technology system and modernize its programs to provide students with the best knowledge at par with other top Filipino universities. Dean Glen Lorenzo, of the College of Information Technology, said the MSU’s modernization action plan and program provide powerful tools in enhancing learning and communication process for marginalized communities and individuals. He emphasized that this new development was based on the top agenda of MSU System President Macapado Muslim aimed at modernizing the Information and Communication Technology facilities of the state-owned institution in Marawi City in Lanao del Sur province in the Muslim autonomous region. Lorenzo said the main objectives of the ICT are to provide an improved capacity in instruction, research, and extension by equipping it with relevant modern technologies and establish information technology literacy program that is responsive to the multi-sectoral needs of the Muslim autonomous region. “This will provide more rapid and greater transfer of skills through community-based training, distance and on-site learning, as well as bolster efforts to attain functional literacy in both formal and non-formal IT education which are vital investment in advancing peace and uplifting the quality of life,” Lorenzo said. On the other hand, Muslim also emphasized that the ICT will serve as a host for information relevant to the socio-economic development of the region for better provision of Information Technology services previously under-serviced areas, thereby promoting more opportunities and more meaningful participatory approaches involving cultural minorities and indigenous organizations.